When you hear people say the iPhone "just works," it's because of all the finishing touches Apple adds to iOS. A perfect example of this is the new QR-scanning feature in iOS 12 — by tapping a single button in the iPhone's Control Center, you can scan a QR code within seconds. Sure, it's not the most interesting feature, but it does make life a little easier. 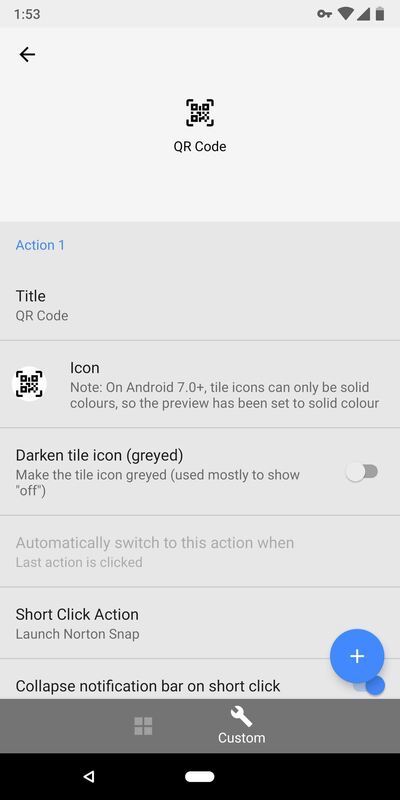 But if you're running Android, there's no need to be jealous — using the new Quick Settings editor introduced with Android 7.0 Nougat, you can add a tile that behaves exactly like the one in iOS 12 and lets you scan QR codes in a single tap. 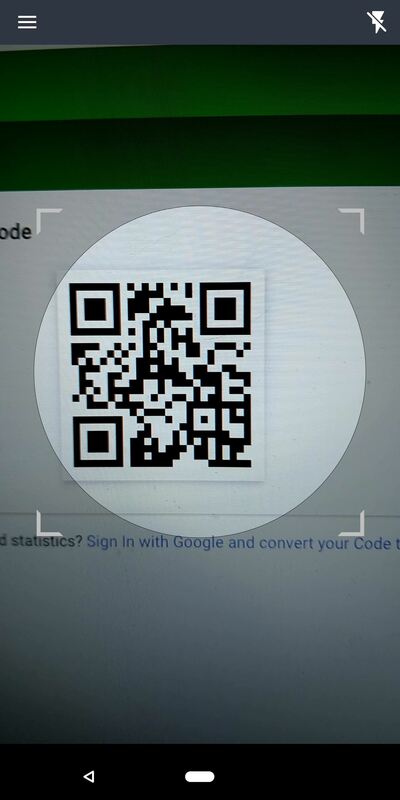 First, you'll need a QR code reader app. 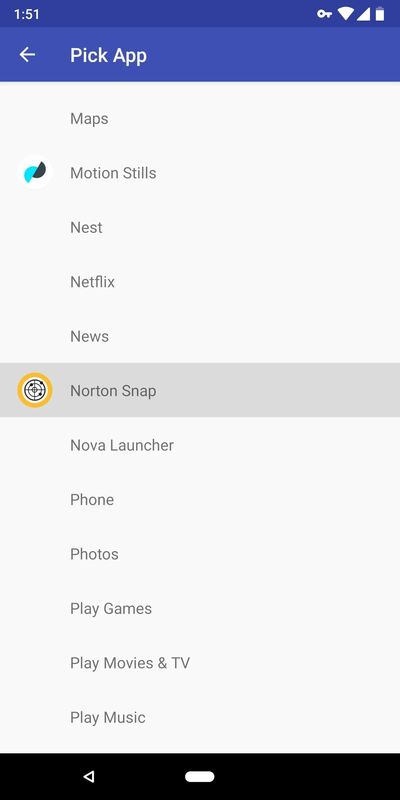 Any such app will do, but we recommend Norton Snap since it's reputable and there are a lot of questionable permission-hungry QR apps on the Play Store. Next, it's time to install an app that will let you create your own custom Quick Settings tiles. There are a few different apps that do this, but the best free option is called Custom Quick Settings by developer Mighty Quinn Apps. 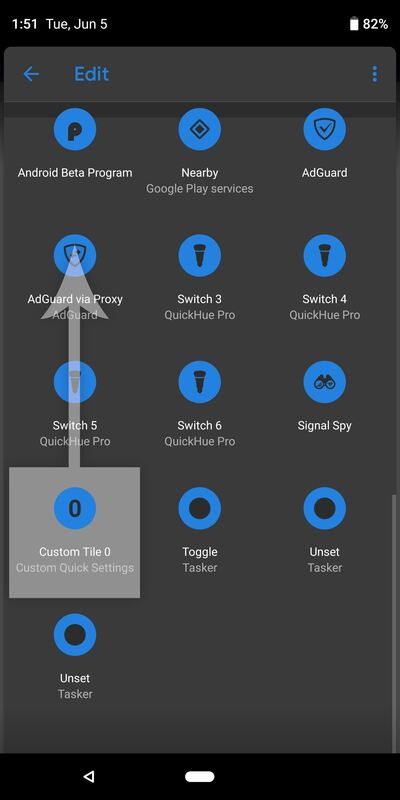 After installing Custom Quick Settings, go ahead and open the app up. You'll be greeted by a feature tour — tap the forward arrow to skip through this, then press "Grant Permissions" when prompted. 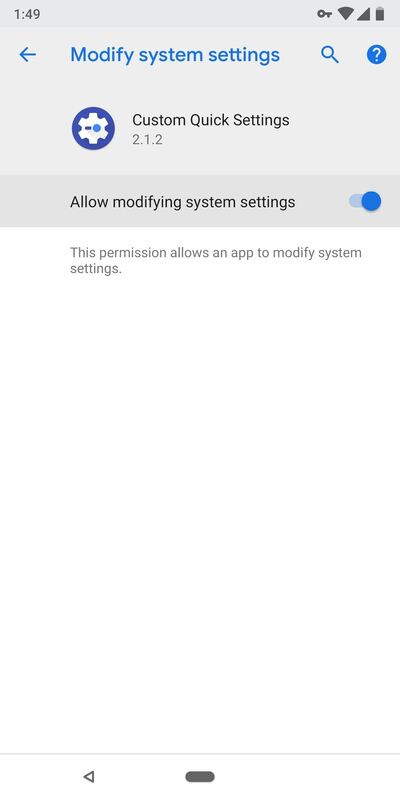 The first permission it asks for will take you to a system settings menu. Enable the switch next to "Allow modifying system settings," then press your back button. 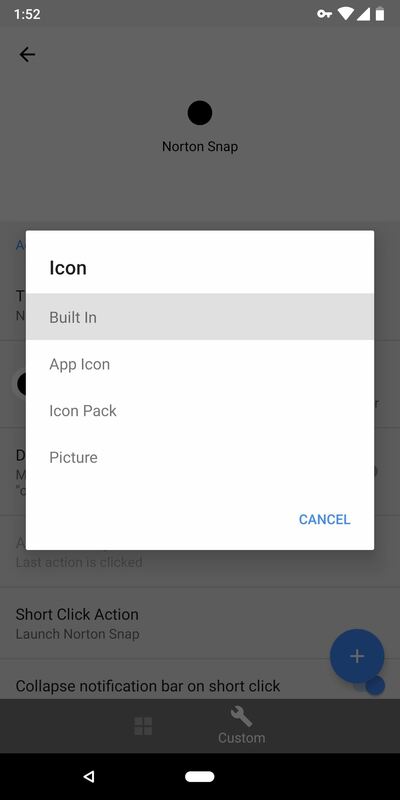 Tap "Grant Permissions" on the next prompt, then hit "Allow" on the two popups that emerge next. 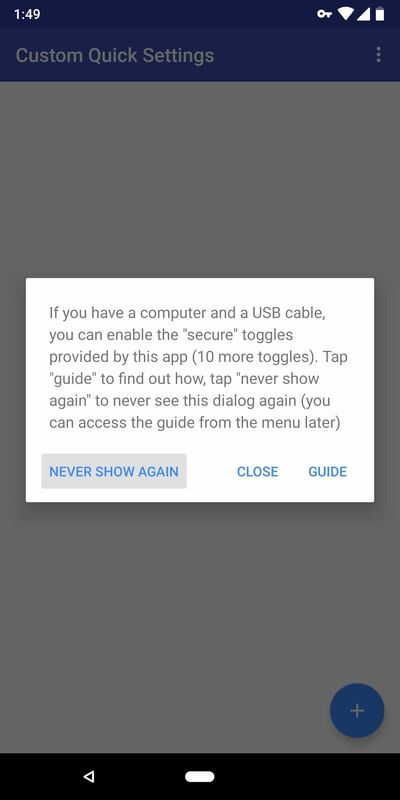 From there, the app will offer to enable more options with root or ADB, but you don't need these for this purpose, so tap "Close" or "Never show again." Now, from the main menu in Custom Quick Settings, tap the blue + button in the bottom-right corner. 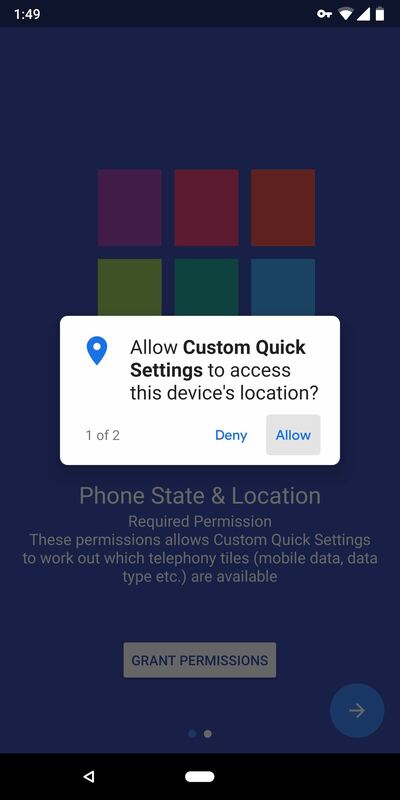 You'll be taken to a screen that demonstrates how to add a custom Quick Settings tile — leave this screen open, then fully expand your Quick Settings menu by swiping down twice from the top of your screen. 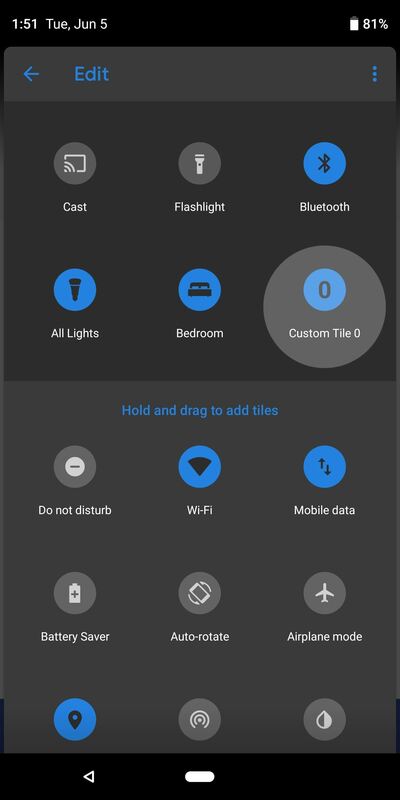 With your new tile added to the Quick Settings panel, it's time to choose what that tile actually does. 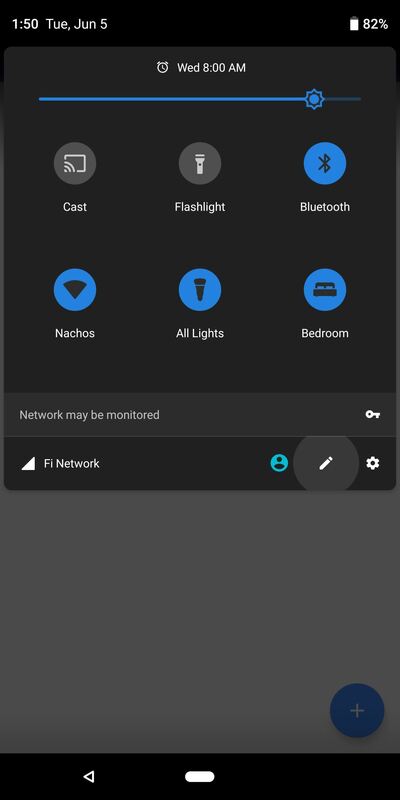 Back in the Custom Quick Settings app, you should be greeted by a menu that looks like the first screenshot below. 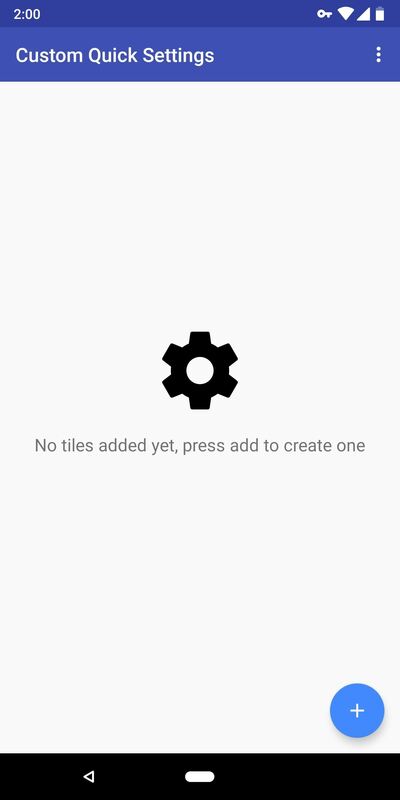 If not, tap the "Custom Tile 0" entry from the app's main menu. 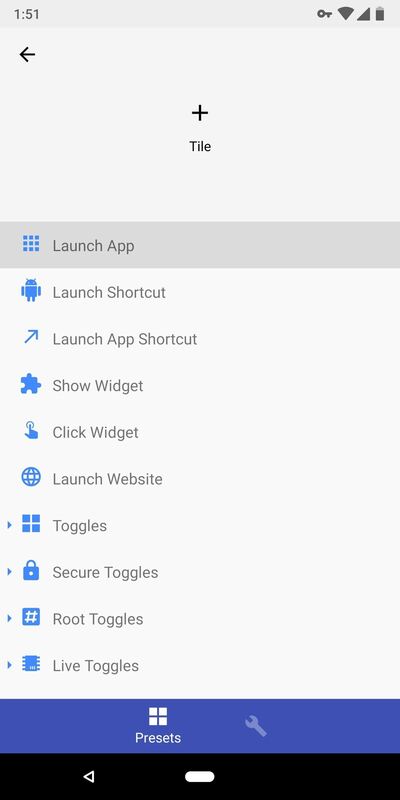 Next, choose "Launch App" from the list, then scroll down and select "Norton Snap." If you're using another QR reader app, you can select it from this menu instead. After selecting the app, you'll be taken back to the tile editing menu. From here, tap the "Settings" tab on the bottom of the screen (the one with the wrench icon). 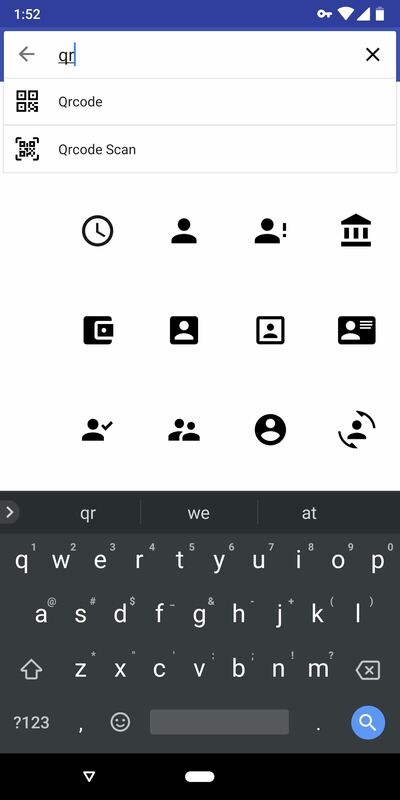 Tap the black dot to change the tile's icon, then choose "Built In" on the prompt. From there, search for "qr," then pick one of the available options. Finally, you can rename the tile by tapping the "Title" field. 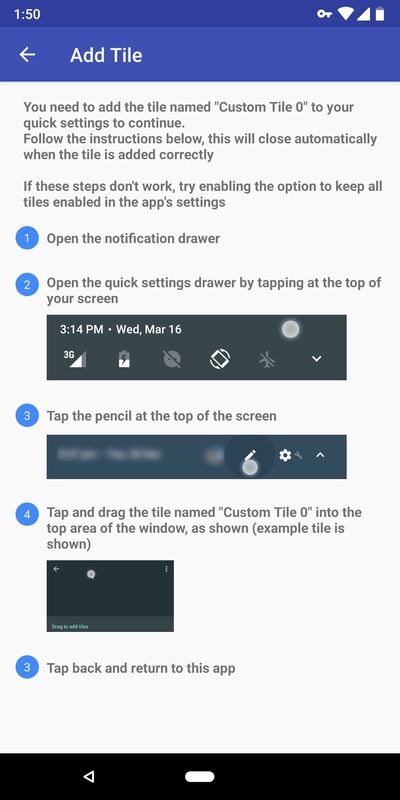 When you're done customizing your new tile, tap your back button twice to head back to the main menu in Custom Quick Settings. At this point, you're all set to try out the new feature. 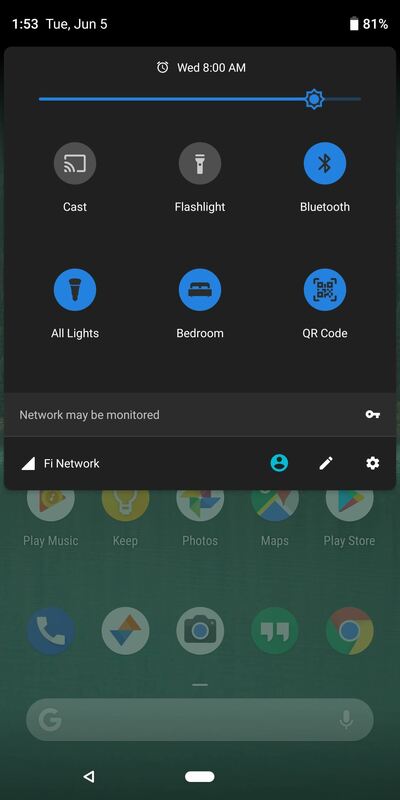 From now on, whenever you need to quickly scan a QR code, just open your Quick Settings menu and tap the tile you just created. The Norton Snap app will automatically open and begin scanning for QR codes immediately. When it finds the attached metadata, it will deal with it accordingly (i.e., open a link in your browser). It may have taken a little work, but now you have a perfect replica of iOS 12's new QR scanning feature. How are you liking this little tweak? Let us know in the comment section below.